North Bay Village Reality Based Community: Happy Friday! I'm thrilled. You're probably thrilled. The hundreds of people there last night for the opening certainly looked thrilled. The paying customers below were pretty happy. 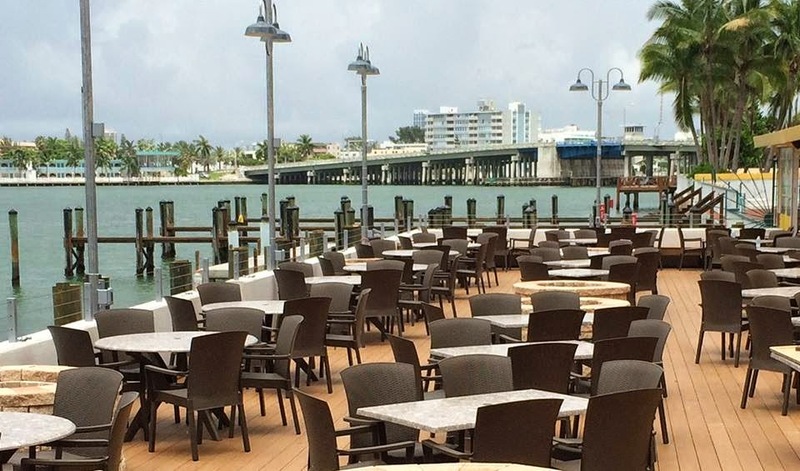 Shuckers has long been a landmark in North Bay Village, a testament that a well run business can prosper. It's more than a bar and a grill. With its views of the bay, lovely outdoor decks and casual vibe, it's a weeknight trip to the Keys. Last night was cheerful chaos. A line out the door, every table jammed and the bar three people deep. It was so good to see. 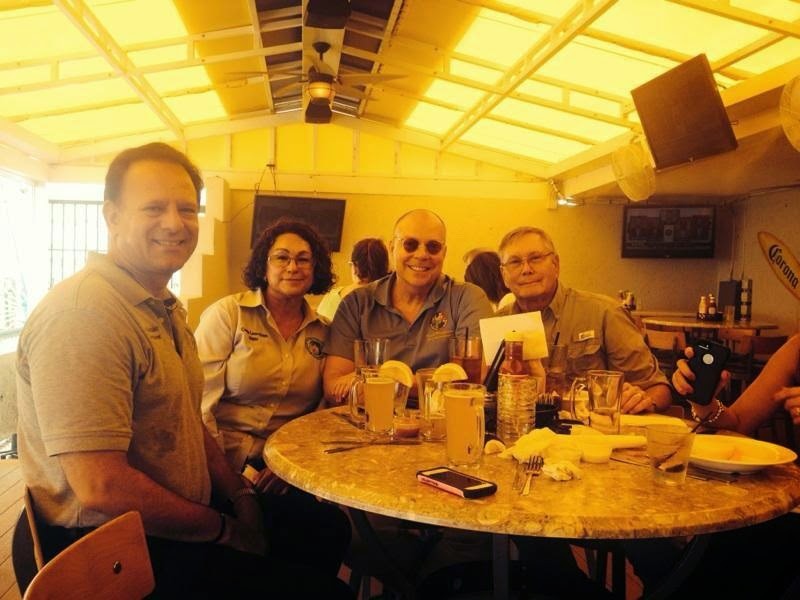 Shuckers did a preview the day before with two small gatherings. From 4 - 6 they invited the mayor and administration. The mayor in turn invited her friends and supporters to the buffet and bar, The Schnorrers Ball and I imagine it was fun and did not exceed $24.99. Here's a picture of the Mayor's private event. It's nice to see that there are no hard feelings on Shuckers' part about how the mayor and administration responded after the deck collapse (Click here for those details) but it's probably best that they were brought in privately as dealing with the public is stressful on our delicate officials..
Head over this upcoming week. 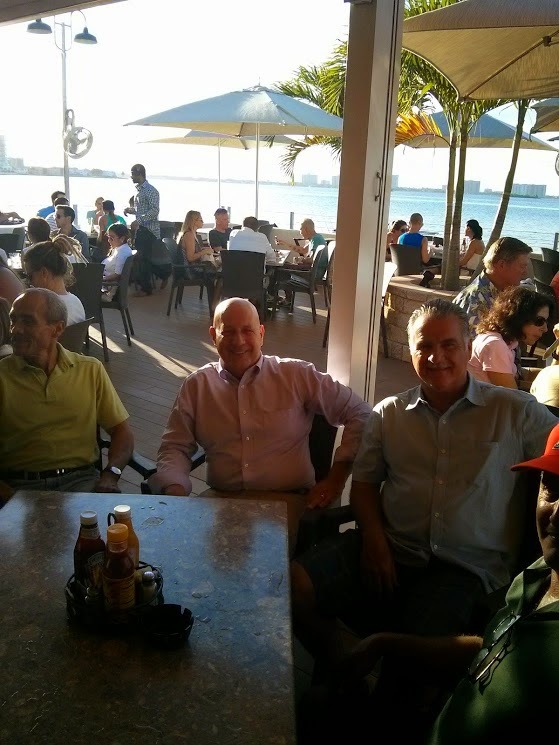 We can once again sit, meet friends, look out over the bay and just be in North Bay Village.